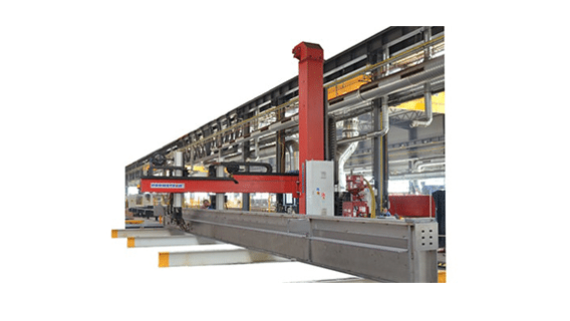 Gantry Welding System is intended for longitudinal welding of long structural beams with web in vertical position and with active compensation of working positions of torches. 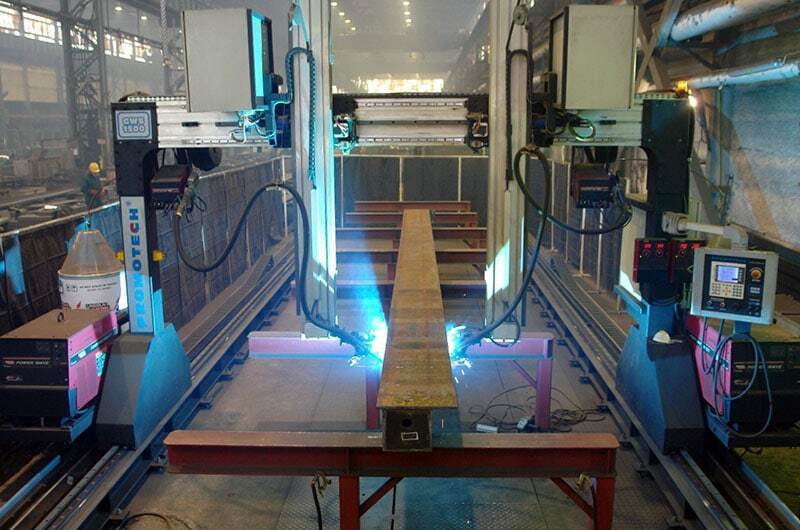 It can be integrated with MIG/MAG or SAW welding equipment according to particular customer’s needs. The standard version comprises 5 numerically controlled axes, controlled by a computer system with TFT graphic display. 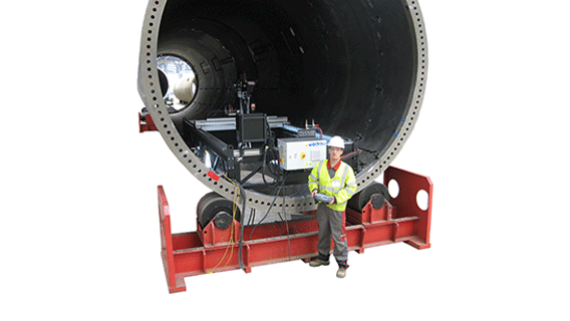 Active compensation of position of both torches with regard to the welding seam enables precision of 0,1 mm. 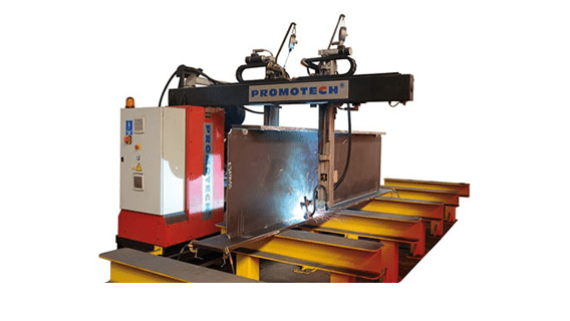 The system comprises a high-precision maintenance-free, planetary gearbox and all axes are powered by high-class servo motors controlled by a digital inverter. High-precision linear guides ensure precise and smooth motion of all system axes. 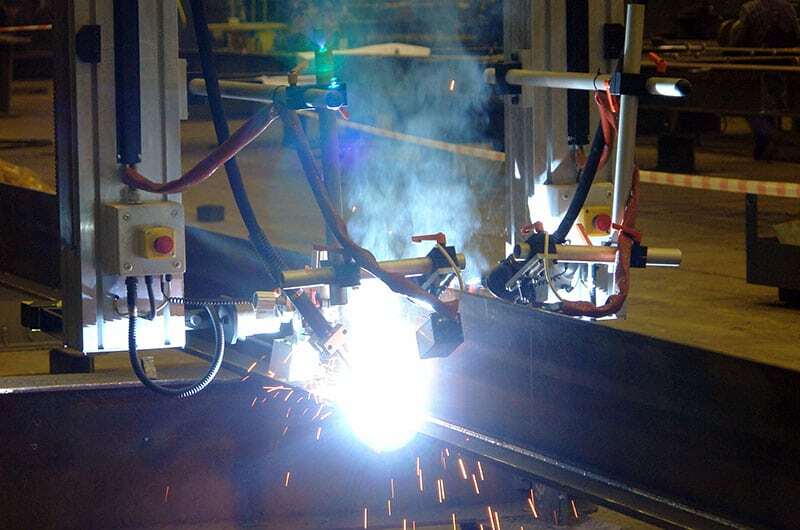 The torch holders are fitted on machine’s supports through anti-collision joints. 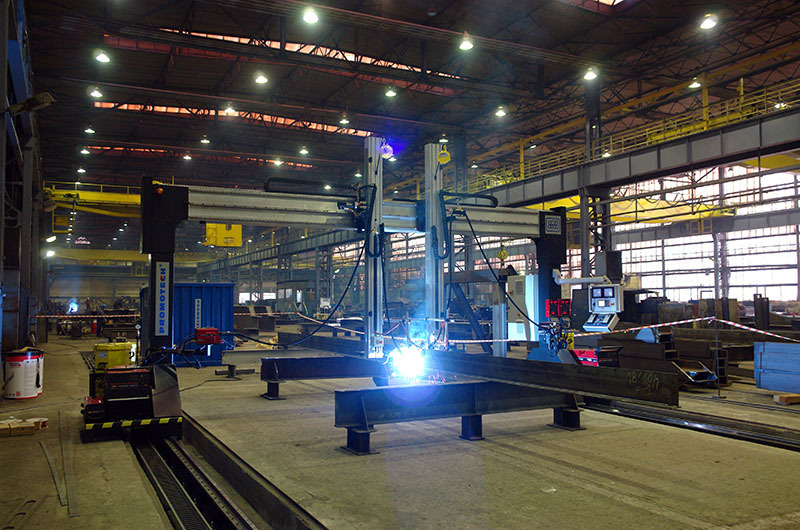 It’s rigid and heavy duty construction is based on aluminum section profiles.